3 images. 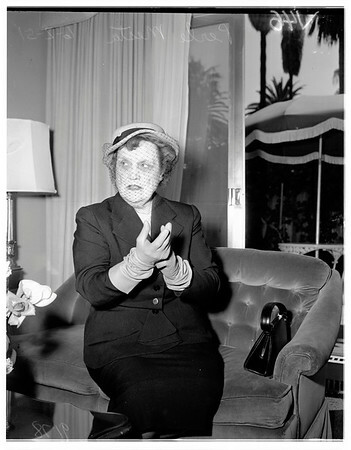 Press conference (Beverly Hills Hotel), June 2, 1951. Perle Mesta (United States Ambassador to Luxemburg).